Transfer and departure from the tour terminal, travel towards the region of Extremadura and arrival to Trujillo, birth place of Spanish conquerors. 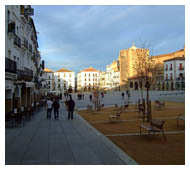 Time free to know its beautiful and monumental Plaza Mayor. Continuation to cross the Portuguese border and arrival to Lisbon, the capital of Portugal located at the mouth of river Tagus. Accommodations. Optional night tour to attend a show of Fado, typical Portuguese songs and music. 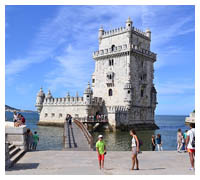 Morning city sightseeing tour visiting old Alfama Quarter, Tower of Belem, Monastery of Los Jeronimos, etc. Free after- noon. Optional excursion to Sintra, Estoril, Cascais. 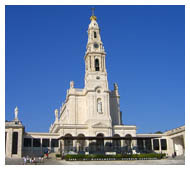 In the morning departure to Fatima, important center of pilgrimage. Free time to visit the Shrine. Return to Lisbon. Departure to the border with Spain and continuation to Caceres. Time at leisure to know its Plaza Mayor and to walk through the old city and its famous medieval quarter, very well preserved and considered as World Heritage place. Lunch at your own. Continuation southwards to Andalucia and arrival to Cordoba. Sightseeing tour visiting the famous Mosque/ Cathedral and Jewish Quarter. Departure to Sevilla. Lunch. Afternoon free. Accommodations. 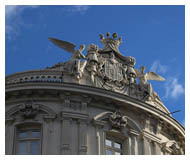 Morning city tour visiting the typical Barrio de Santa Cruz with its narrow streets, the Park of María Luisa and Plaza de España, with a pa- noramic sightseeing of the city. 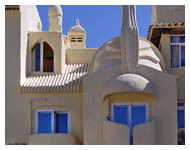 Optional Artistic tour including the Royal Alcazar Palace. Afternoon at leisure. Breakfast. 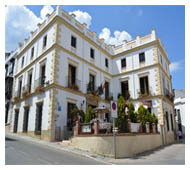 Then departure to the Route of the White Villages and Ronda. Free time. 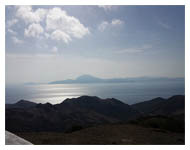 Continuation to Costa del Sol. Full day at your own leisure. Optional Tours. 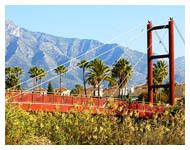 Full day at leisure in this cosmopolitan resort of the Spanish Costa del Sol. Departure to Tarifa to board the ferry crossing the Strait of Gibraltar towards Tangier. Arrival and continue to the legendary and cosmopolitan city of Casablanca. Panoramic tour of Casablanca, economical capital and most populated city in Morocco, visiting Anfa Boulevard, Nations Square and residential areas. 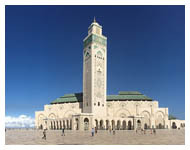 We will continue our visit seeing the exterior of Hassan II Great Mosque, second in size and importance after Meca. Departure to Marrakesh. Afternoon sightseeing tour of this Imperial city: the Koutubia, twin mosque of the Giralda of Seville, and the Saadian Tombs, Bahia Palace, will walk by the Medina, souks and the famous Djemaa el Fna Square of great exotic activity. Time at leisure. Departure to Rabat, capital of the Kingdom of Morocco and official residence of the King. Sightseeing city tour seeing the exterior of the Royal Palace, Mausoleum of Mohamed V and the Hassan Tower, symbol of this city. Continue to Meknes. 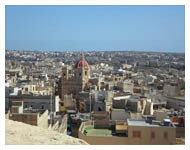 Panoramic sightseeing tour of this old walled city dating from XVII c., located in Mid Atlas, surrounded by 40 kms. of walls, and the gate “Bab Al Mansour”, the most beautiful in Morocco. Arrival Fes, and time at leisure. City sightseeing of Fes, the 7 gates of the Royal Palace, the Jew quarter or Mellah, the gate of Bab Bou Jeloud to the Medina. We will also see the Medersa, oldest University of the world, Karyouine Mosque and the quarter of tanners. Afternoon at leisure to enjoy the Medina on your own. Departure to Tangier to board the ferry and cross the Strait back to Spain. Arrival to Costa del Sol. Departure to Granada. 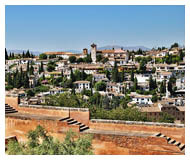 Sightseeing tour including the impressive Alhambra with its beautiful Nazari Palaces and the Generalife gardens. Optional visit to the caves of Sacromonte and attend a typical show of gipsy flamenco. Breakfast and departure towards the Imperial City of Toledo, full of history and monuments. Lunch and city sightseeing throughout its narrow streets and alleys. Continuation back to Madrid. -	Passengers are required to clear customs with their own luggage. -	Only one piece of luggage allowed per person. -	Passport details are required 72 hours in advance to departure. 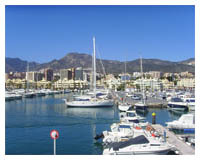 -	The portion of Morocco can be modified without substantial variation of services.